London Bridge Quarter is a new commercial district in one of London’s most significant transport interchanges. 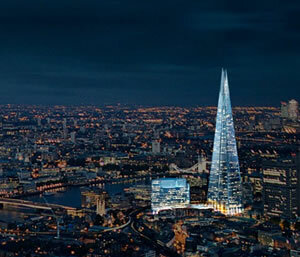 The two most visible landmarks will be The Shard and The Place. 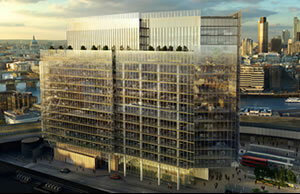 The Place will be a ground breaking new home for many businesses, with 428,000 square feet of large, airy offices, spread over 17 levels, this is truly an inspirational building for London. 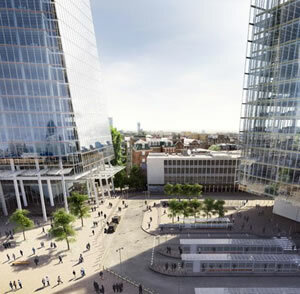 As part of the London Bridge Quarter project, the London Bridge Station is being transformed. With direct access to 61 underground stations, over 54 million people pass through London Bridge Station each year. The renovated station is leading the way with the standard of international transport. Amongst some of the elevating improvements is a new glass roof over the train concourse, enhanced retail and new ticketing barriers, all which establish a greatly improved customer experience. 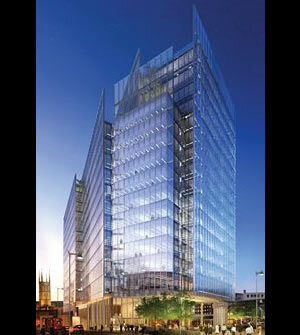 Armorgard have been supplying many products through our distributors on to the London Bridge Quarter Project, and we have been heavily involved with product development. Working with end-users to establish their requirements, we have been designing and testing the products on site, with a view to launching them later in the year. Keep your eyes scanned and you will soon be able to sell these excellent products to some of your customers!